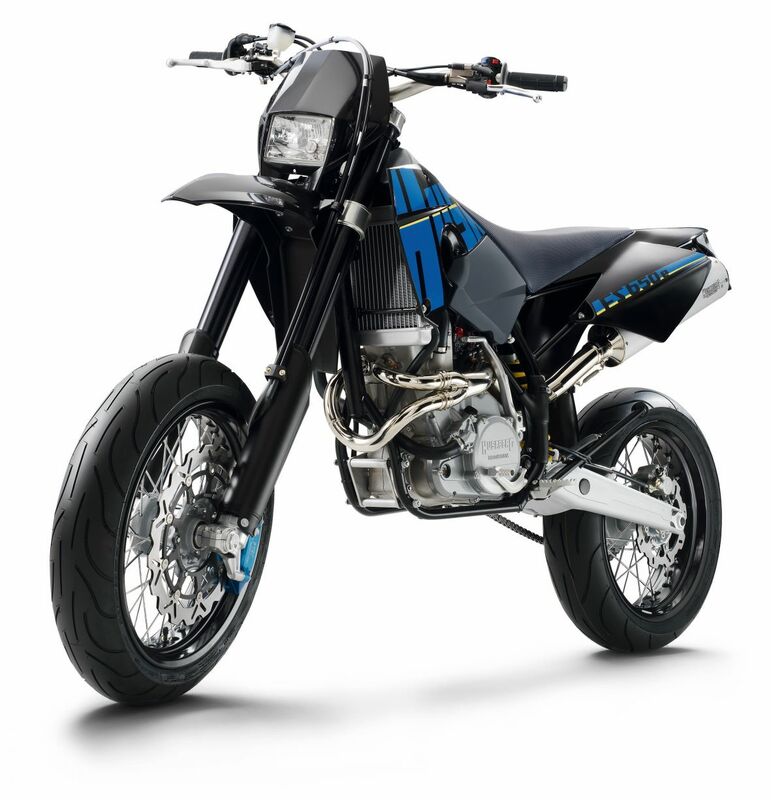 Here is Husaberg's 2007 line of motorcycles. Contact us or drop by for more information. 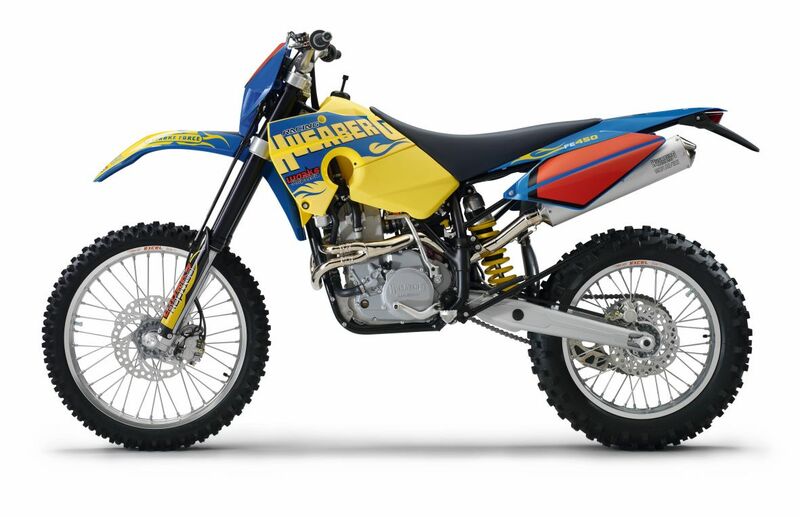 Check out our Husabergs for Sale page to see what models we have in the shop. 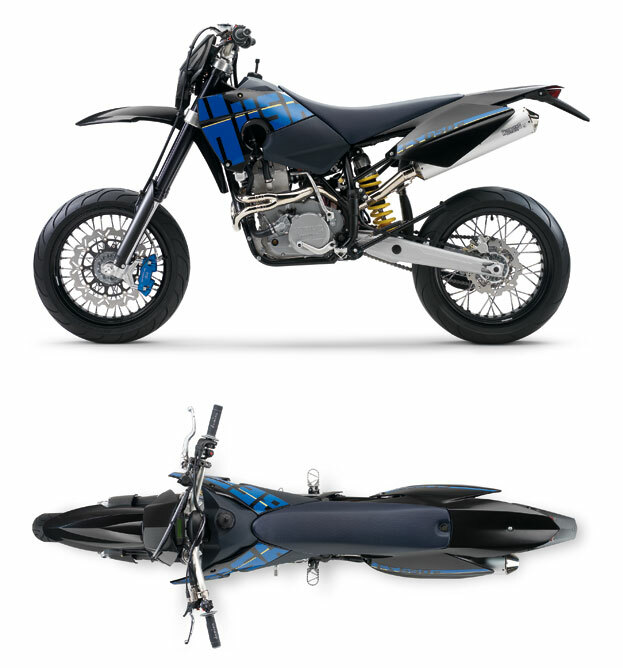 Side and top views of the 2007 Husaberg FS650e, one of the street-oriented Supermoto models.